If you had a chance to revisit your least favorite city, would you go? Recently I got an interesting opportunity in my inbox. Booking.com invited me to visit my least favorite city for 24 hours and give it a second chance, staying in really nice accommodation and doing lots of nice activities. 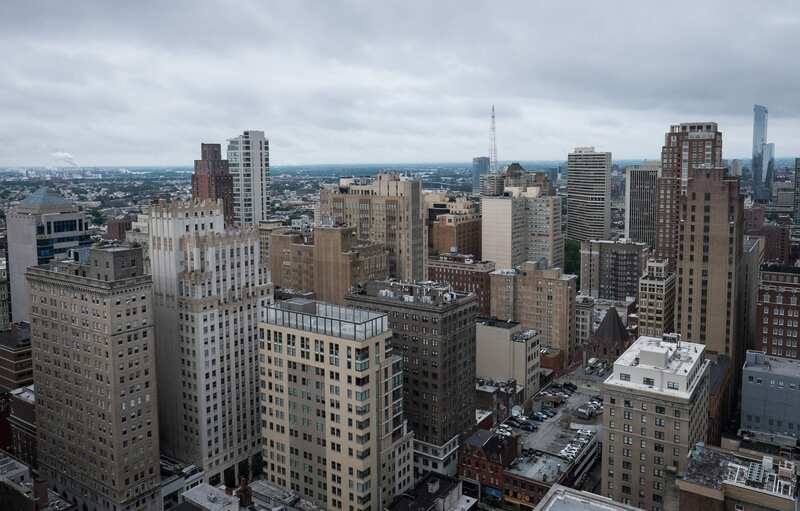 I was intrigued, and I immediately knew the city to visit: Philadelphia. I’ve been to Philadelphia somewhere around eight times. And while I don’t hate the city, I’ve never really liked it. It’s always felt small and dirty to me, short on attractions and limited in focus. 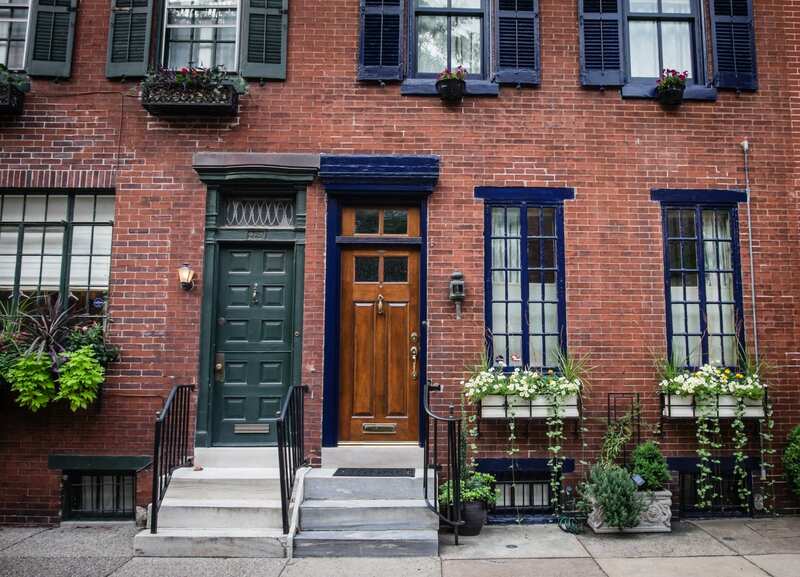 As a native Bostonian, Philadelphia feels like it has all of Boston’s worst qualities but none of the best. But I knew it had to be better. My sister loves it, to start, and so do many of my travel blogger friends. Additionally, almost all of my Philly visits were pre-blog; the lone visit post-blog was mainly hanging out in the suburbs with my friends Kelly Anne and Dave and only briefly venturing into the city. I’ve changed a lot as a person since then, and my travel style has changed significantly as well. Plus, Philly is only 90 minutes away from New York by train. That is so close! How nice would it be if I had a city I loved that close by? Booking.com has been researching how people can make their trips better by de-stressing in advance and planning for a relaxing trip. It’s all about taking care of your mind and body, getting yourself to a good place so you can see your destination at your best self. For me, I didn’t want to end up with a self-fulfilling prophecy. I would genuinely go into Philadelphia with an open mind this time. I would take care of myself, I wouldn’t push too many activities, I would spend time outside and do lots of walking. This would be different from my past trips. No cheesesteaks. No South Street. No Liberty Bell. No running up the steps of the art museum like Rocky. I would spend my 24 hours enjoying the city the way I wanted to. By 5:30 PM, I was checked into my accommodation and I started the clock. While a lot of people will head out right away, I think it’s important to take a moment and relax for a bit. Heading straight out after arriving is more likely to stress me out; I prefer to take a few moments of quiet solitude. And what a place to enjoy that solitude. ROOST Midtown is a condo-style hotel in Center City. It felt more like a private residence than a hotel and it was so big I could have done several cartwheels across the space. 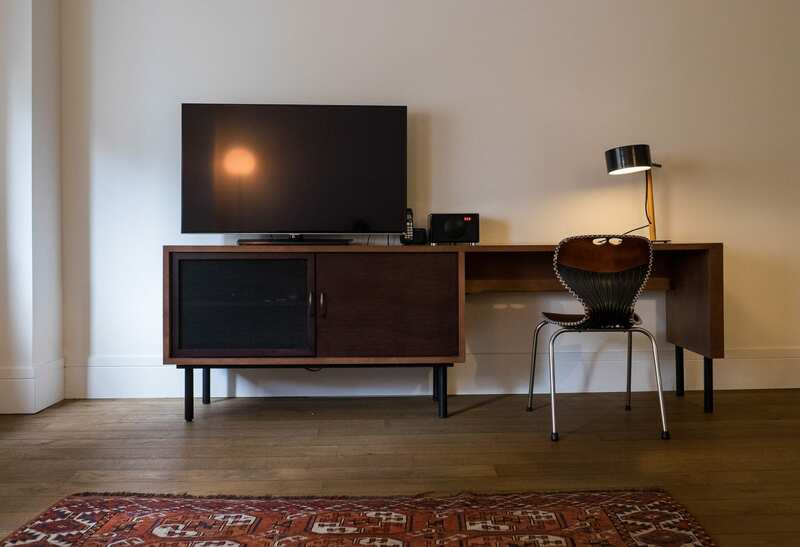 This mid-century desk was the perfect spot to answer emails and get some last-minute work done. Unusually, the bedroom didn’t have windows, but it did have an open loft to the living room which let in some natural light. The bathroom was modern and stocked with adorable amenities. 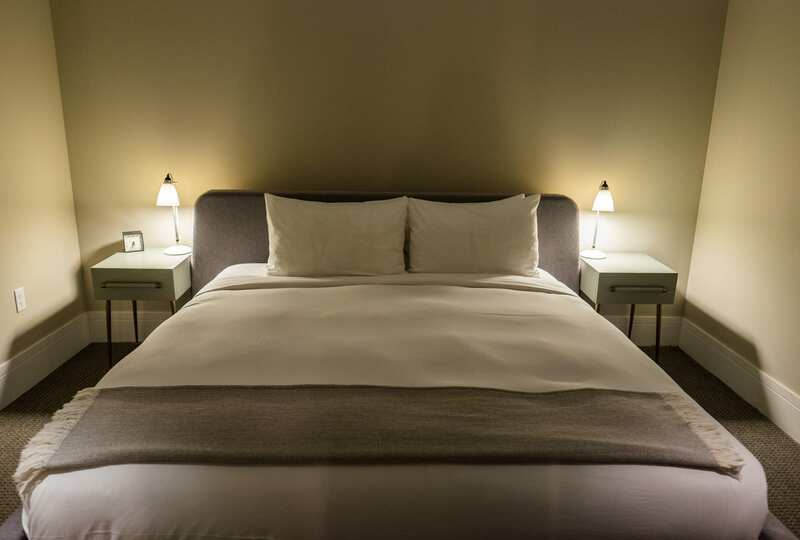 This had all the pluses of a home rental — an apartment-like setup, self-catering facilities, laundry, and an awesome clubhouse on the roof — with none of the minuses, like having to coordinate being around at the same time so you can check in. 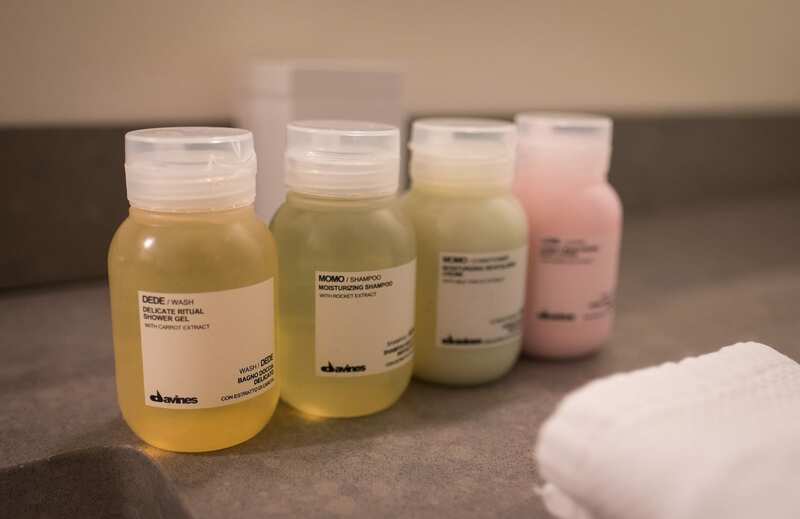 I got the amenities I wanted with the privacy, discretion, and anonymity of a hotel’s front desk. After a quick recharge, I headed out to explore. 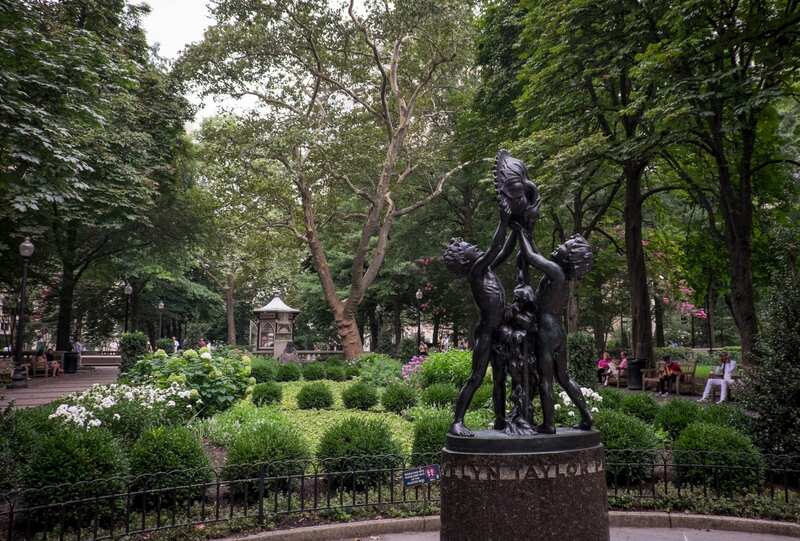 Rittenhouse Square was a short walk away from my accommodation. This green space is one of the prettiest parks in Center City. But even better were the houses in the surrounding streets. 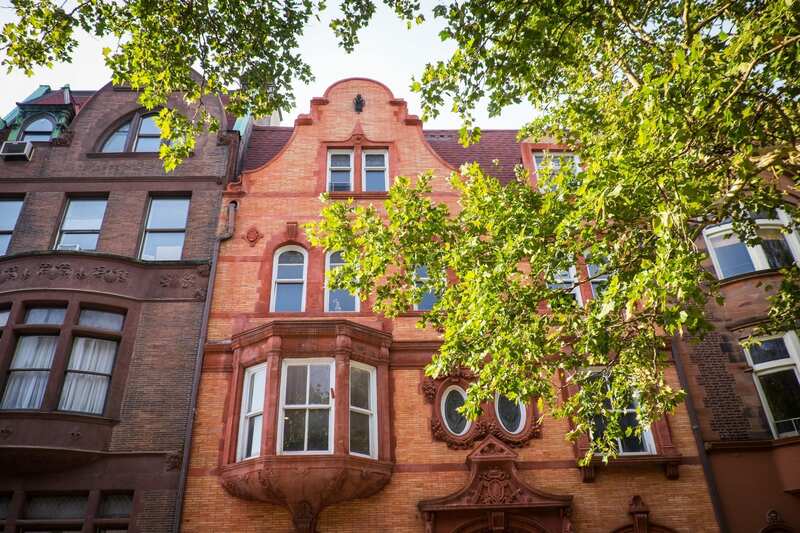 It amazed me how much the architecture varied in this neighborhood, yet how cohesive it was! There were moments when I felt like I was in Amsterdam, or Savannah, or even Harlem! I’ve loved driving around and looking at fancy houses since I was a kid. Now that I’m grown, I still love walking around city neighborhoods and checking out the fabulous homes. Twenty Manning, with its elegant bar and dark wood tables, was a lovely restaurant for a pre-dinner drink. 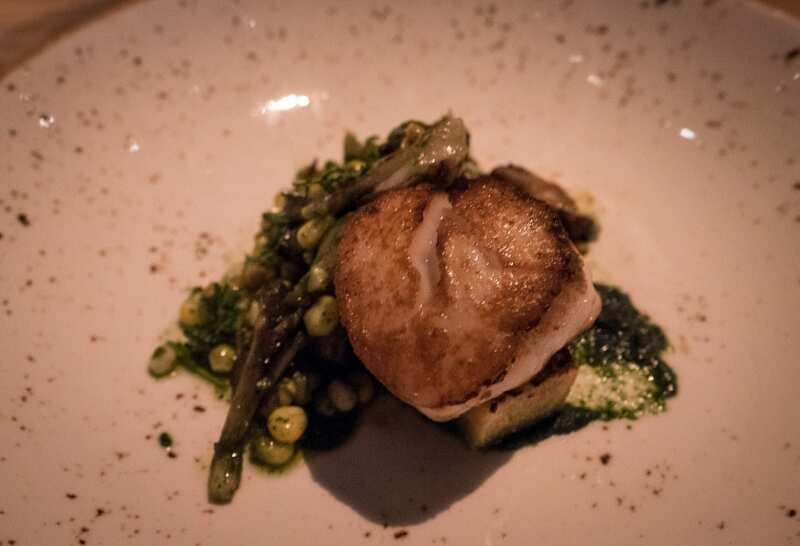 I got a lot of recommendations for high-end Philly restaurants, mostly for high-end Israeli restaurant Zahav, followed by the French-influenced Laurel, but both were booked solid. Instead, I searched OpenTable and found Talula’s Garden, a restaurant specializing in local, seasonal cuisine. So how was it? OH MY GOD. This is one of the best meals I’ve had in recent memory. Seriously. And ten courses for $100 might sound crazy, but it was great value for food this good. 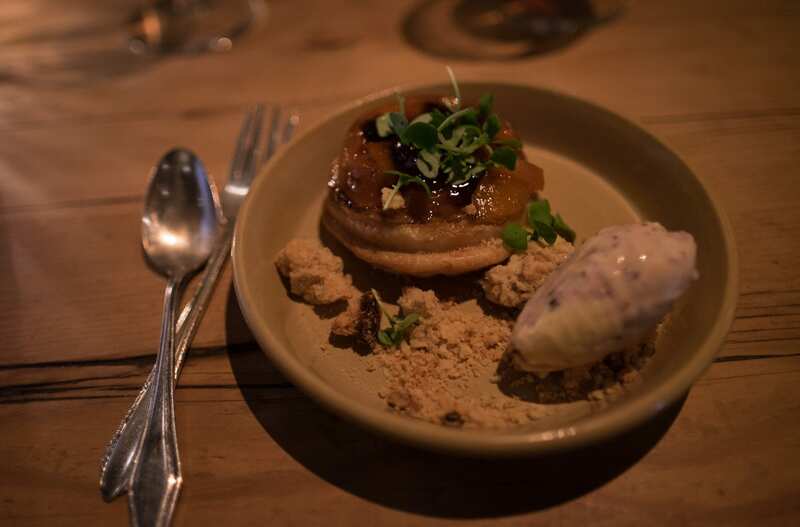 If you eat a la carte, my favorite dishes were the fried green tomato with smoked jalapeño, the seared scallop with smoky bacon and riddled cornbread, the grass-fed beef pappardelle bolognese, the “Jewel of Summer” soft cheese with peaches, and the blueberry apricot tarte tatin. I didn’t do the wine pairings but got a glass of white and a glass of red that the waitress recommended, as well as the included sparkling wine, and all three were spectacular. 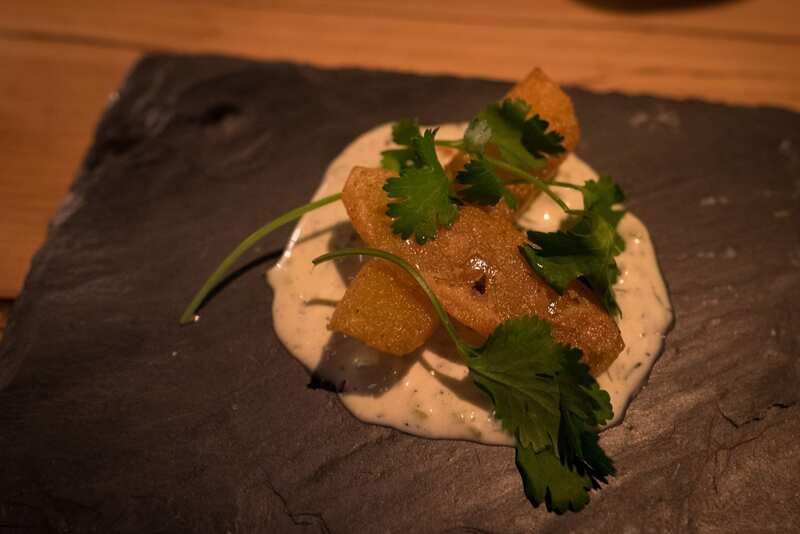 Talula’s Garden was easily the best thing I did in Philadelphia, and I recommend them highly. The entrance to this speakeasy is intimidating. Set in the middle of Chinatown behind a nondescript door, I got in line behind the one girl standing there and we waited for the door to open. Finally, a Steve Harvey-looking dude poked his head out and demanded to know why we were there. “I’m here for my friend’s birthday party!” she yelped and was immediately let in. “What about you?” he said with a glare. He sighed and let me in. The girl and I were ordered to sit down and listen to the rules. Absolutely no photography. No bar photos, no selfies, no social media videos, no Instagram, and if you violated that, you would be kicked out immediately. The girl headed back to her group; I went to the bar, where there were only two chairs and I was the sole patron. Kind of weird for a Thursday night. I had a tasty gin and cucumber cocktail and briefly chatted with the bartender, but empty bars are a bit depressing when you’re solo, and I left after finishing the drink. 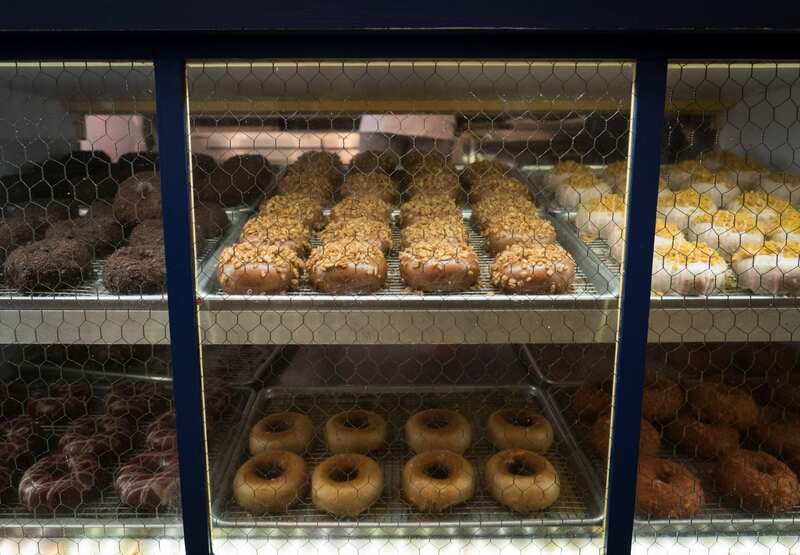 I met up with my friend Dave for breakfast at Federal Donuts. (Do check out their website if you’re on a desktop — it’s hilarious!) 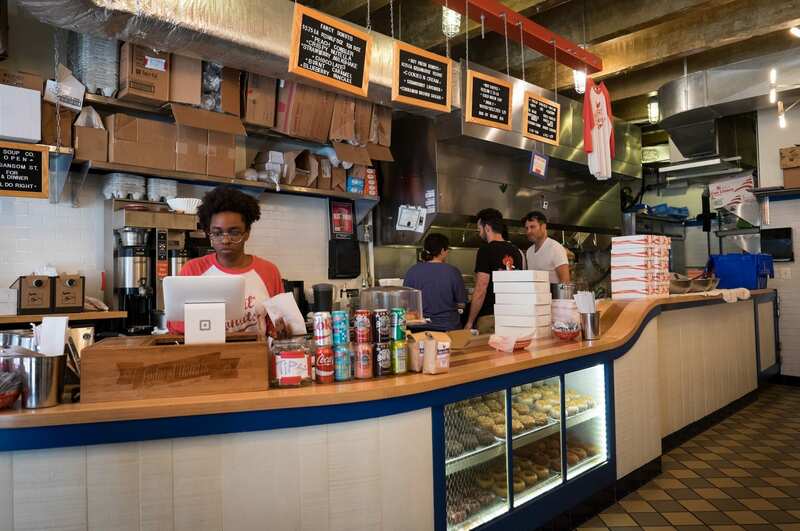 This place is famous for tender, sweet donuts, and the fact that they serve them alongside fried chicken. If chicken and waffles makes so much sense, why not chicken and donuts? To my dismay, chicken was not served until 11:00 AM, but the donut was no consolation prize. My peach cobbler donut was astoundingly fresh. I could have eaten another one right there. 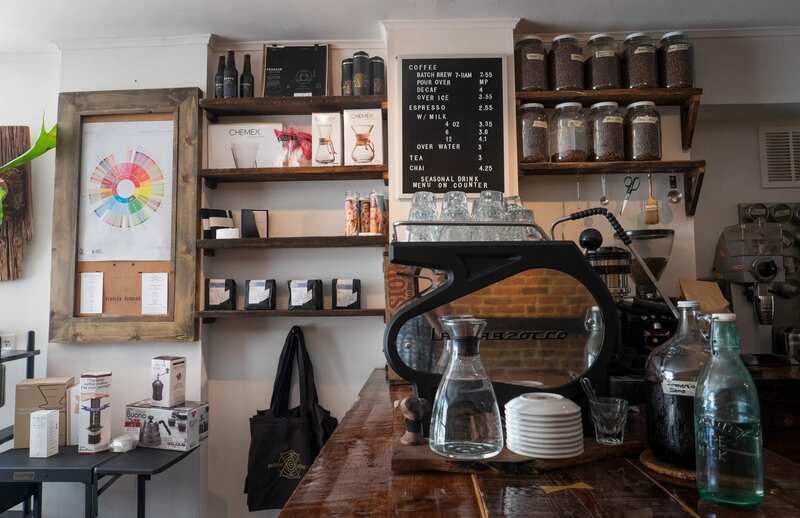 Coffee is always a priority for me, and I personally held off from getting coffee at Federal Donuts so I could enjoy an artisanal shop nearby. 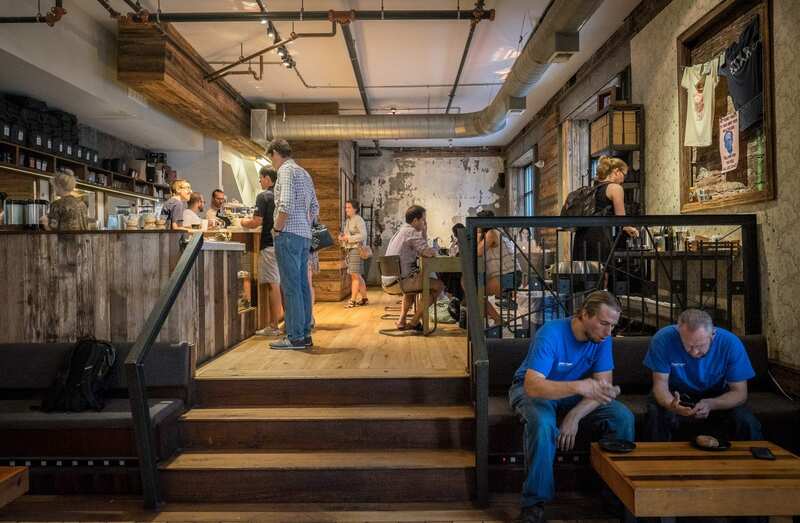 I decided to check out Elixr Coffee Roasters — a cool industrial space that catered to a wide variety of people. My flat white? Delicious! 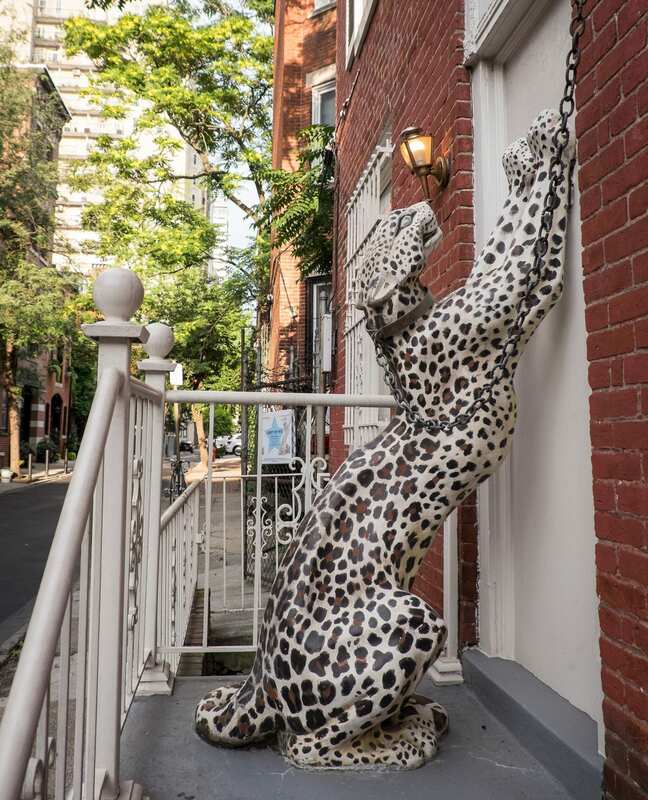 The strangest and most macabre attraction in Philadelphia is the Mütter Museum: a collection of medical abnormalities. You’ll find things like preserved diseased body parts and skeletons of all kinds, most of them deformed somehow. I love quirky and unusual museums, so this sounded like it could be fun. I’ll be honest: I did not like this place. It was too disgusting for me. I had to actively suppress the urge to vomit the whole time. But hey, don’t let that stop you. You might like it. 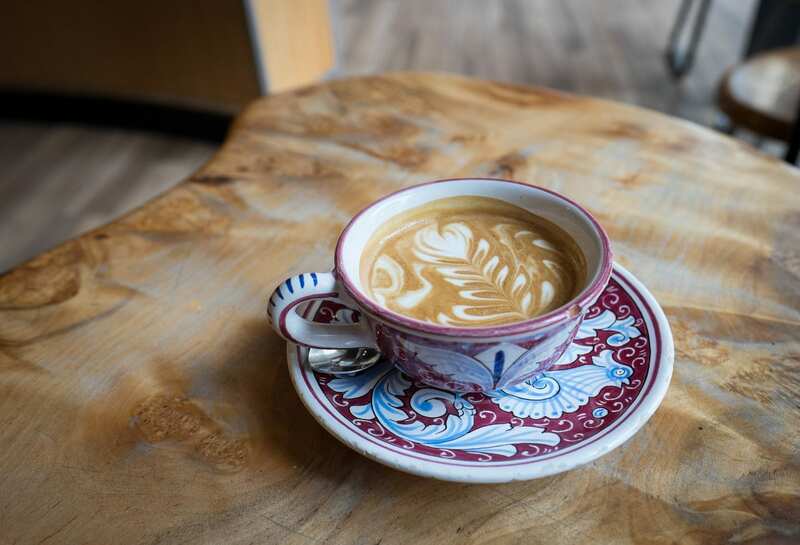 In my research I discovered that Peddler Coffee was a good midpoint between the Mutter Museum and the Barnes Foundation — and that they made a lavender latte with their own homemade lavender syrup. I’m still dreaming of the lavender spiced mocha I had in Savannah last year, so that was a must! It was absolutely worth the stop. Definitely my favorite coffee of the trip. This is an incredible collection of art. The Barnes Foundation is a stunning collection of art with a crazy history behind it. 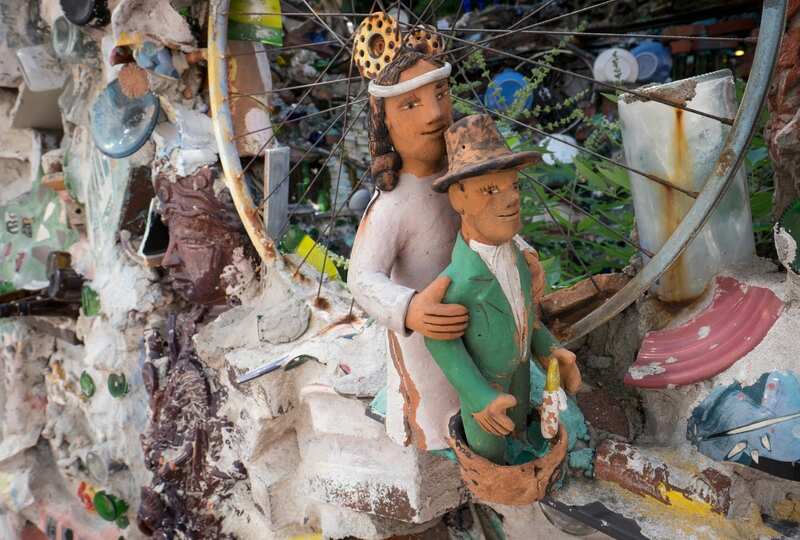 Dr. Albert Barnes amassed an incredible collection of art over the course of his lifetime and meant for it to be kept together in his home following his death; things did not go to plan. It’s the subject of the Netflix documentary The Art of the Steal. There are tons of Matisses here, a handful of Picassos, a Van Gogh, some Renoirs, and hundreds of paintings by other artists, stacked up on top of each other in little rooms. I loved how it was structured — it felt far more intimate than most art museums. Tip: get the app before you go! The Barnes Foundation has an audio guide that you can use on your phone. 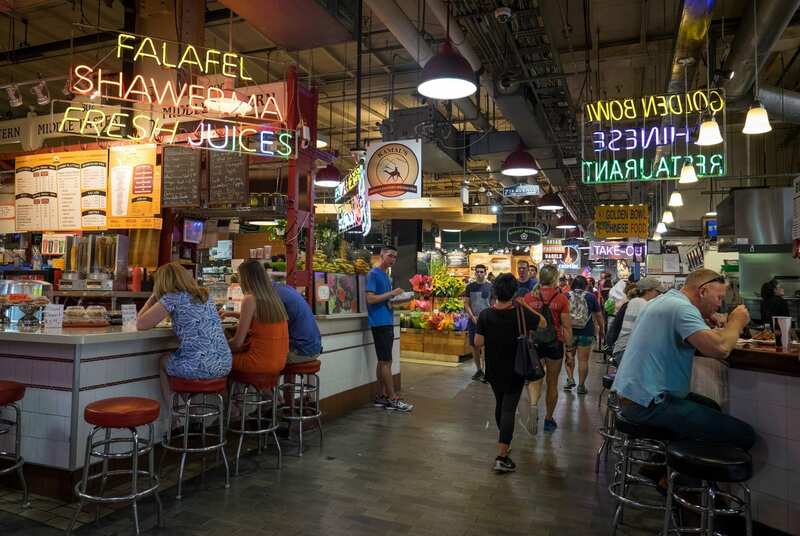 I’m surprised I missed Reading Terminal Market on all my Philly visits so far. This food market features dozens of food stalls hawking everything from Cajun eats to bakeries owned by the Amish. 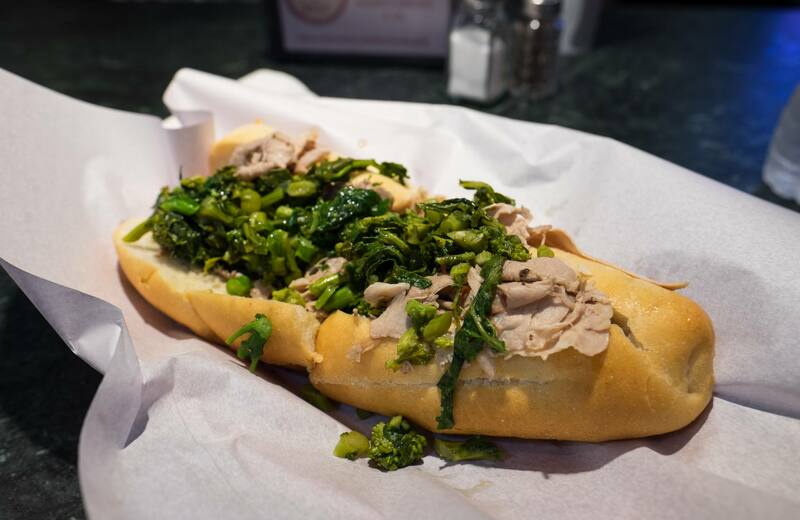 The dish that came with the highest recommendation was DiNic’s roast pork sandwich, topped with sharp provolone and broccoli rabe. It’s been on lots of lists of “best sandwiches in America.” The verdict? Pretty good, but not life-changing by any stretch. My friends warned me that the market would be super busy around lunch time, and they were right. It was a bit much for me. 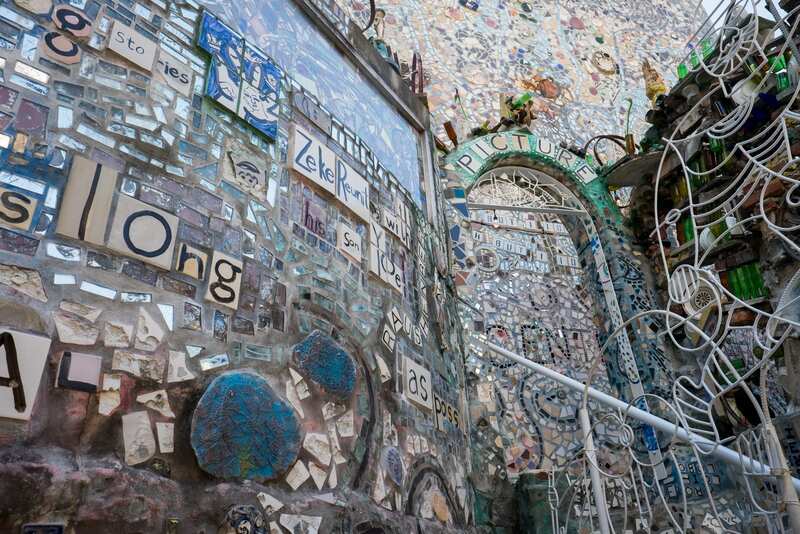 Artist Isaiah Zagar has dedicated himself to beautifying Philadelphia’s neighborhoods with his art since the 1960s. 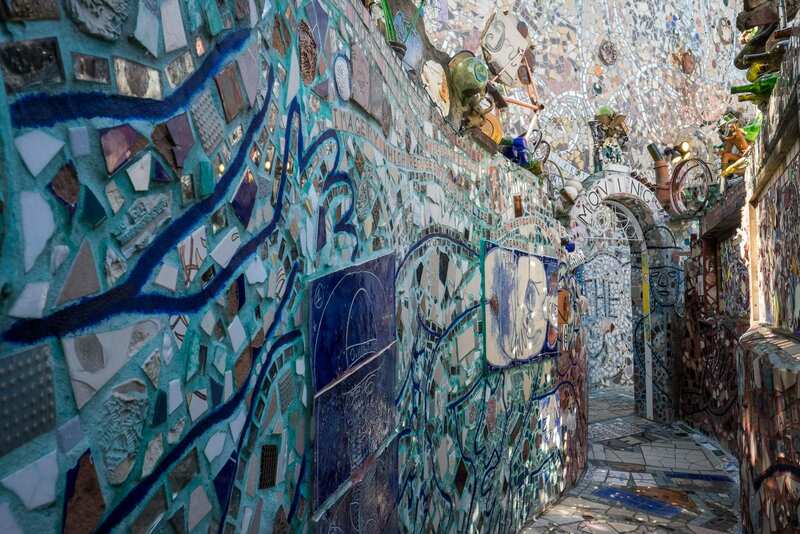 In the mid-90s, he began working on a lot on South Street, and in 2008, Philadelphia’s Magic Gardens were open to the public. 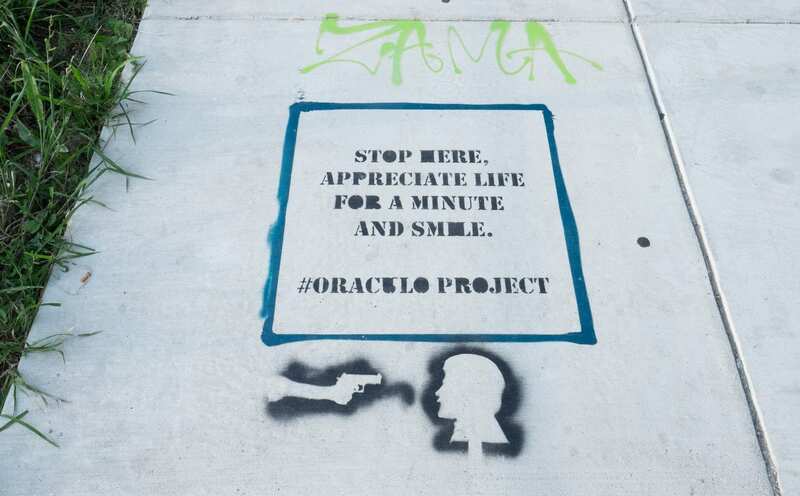 Today they are a beautiful place to wander, a place that hosts artistic events — and Instagram gold. My biggest surprise was that it wasn’t full of Instagrammers trying to get the perfect shot in every direction! I met up with Dave again for a gelato break! Capogiro‘s gelato isn’t like what I’ve had in Italy, but it was delicious nonetheless — incredibly creamy and smooth. Black Fig and Peaches and Cream were solid flavors. I’m always down to check out an independent bookstore. 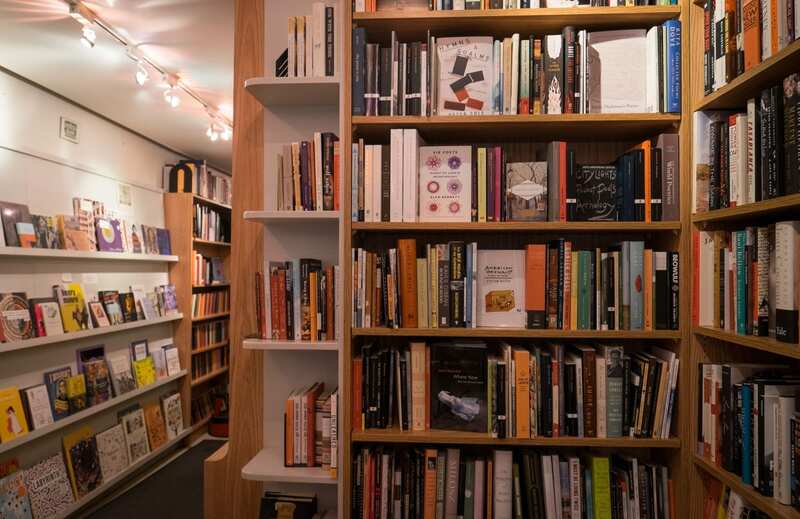 Joseph Fox Shop has an interesting array of books, including many from small presses I’ve never seen before. For a tiny place, they have strong sections on feminism, African-American studies, and cultural American studies. I picked up a few essay collections by Roxane Gay and Zadie Smith. 5:30 PM: And that’s 24 hours! That was my itinerary and it worked for me — but I should point out that this is a rushed itinerary for most people. I tend to sightsee very quickly when traveling solo and even for me this was a bit quicker than I would have liked to go. Other than that, I was happy with how I spent my time. 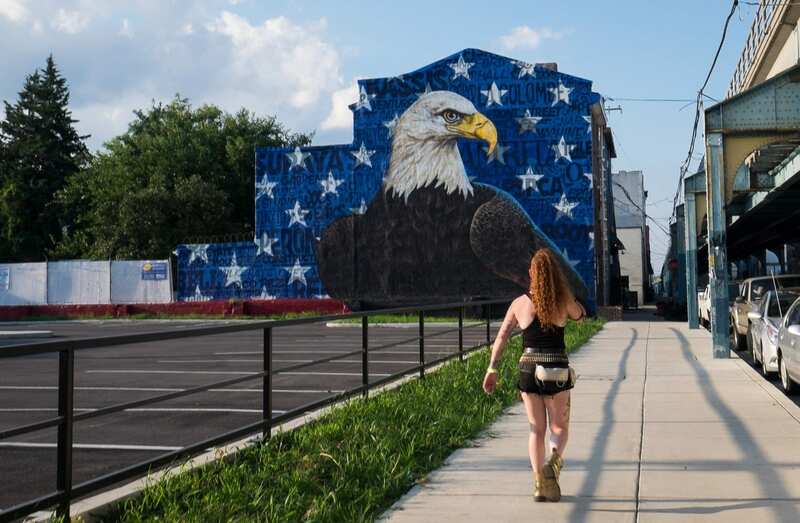 That night I headed to Fishtown, which people are calling Philadelphia’s new hipster neighborhood. Truth be told, there were parts that looked exactly like Bushwick, Brooklyn. I got dinner at the highly recommended Wm. 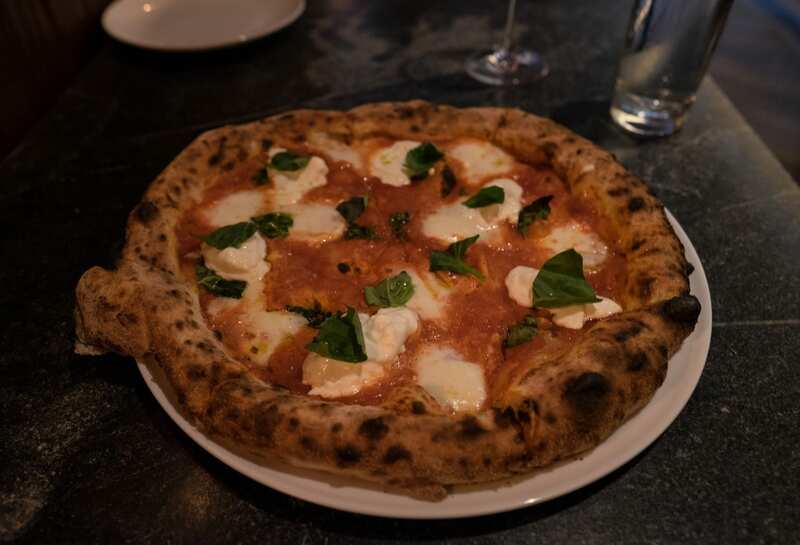 Mulherin’s Sons (probably the worst restaurant name I’ve ever heard) and thoroughly enjoyed my double margherita pizza (regular mozzarella AND burrata!) and glass of lambrusco. The pizza was pillowy — an utter delight. Next, I walked a few blocks down to ROOT to enjoy sparkling rosé with my lovely reader Maria and her friends Whitney and Naomi. Shortly after, my friend Jeff came to join us. 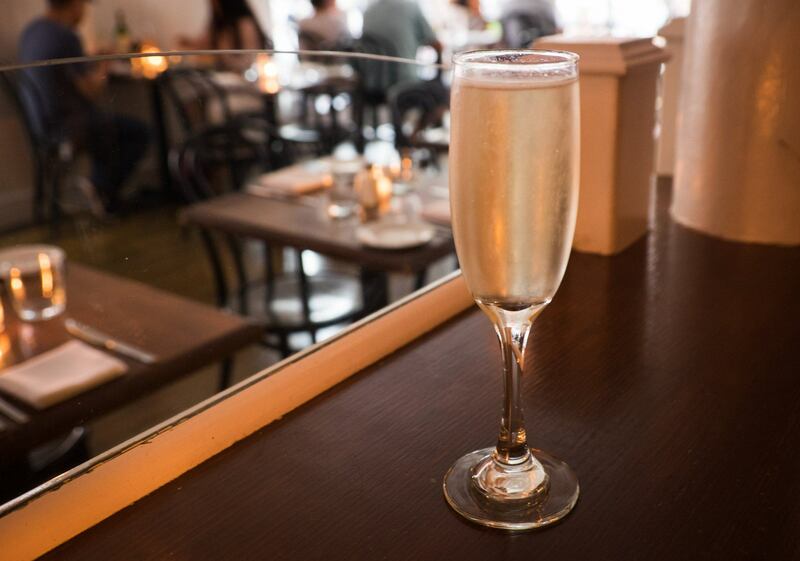 ROOT is a fun wine bar with a great atmosphere in the heart of Fishtown. The next morning, I headed to La Colombe for a gorgeous flat white before grabbing a Lyft and heading back to the train station. I’ve seen La Colombes in Boston and New York but I had no idea they were originally from Philly! So how did I feel about Philadelphia this time around? I enjoyed Philadelphia more this time around than I ever have before. Why? Because I visited on my own terms. I’m no longer the 18-year-old who went to Philly with her glee club friends. I’m not going to visit a new city, have a group dinner at Cosí, take group photos in condom shops, and leave with new piercings. I like to think I’ve matured a bit since then. Would I go back? Absolutely. 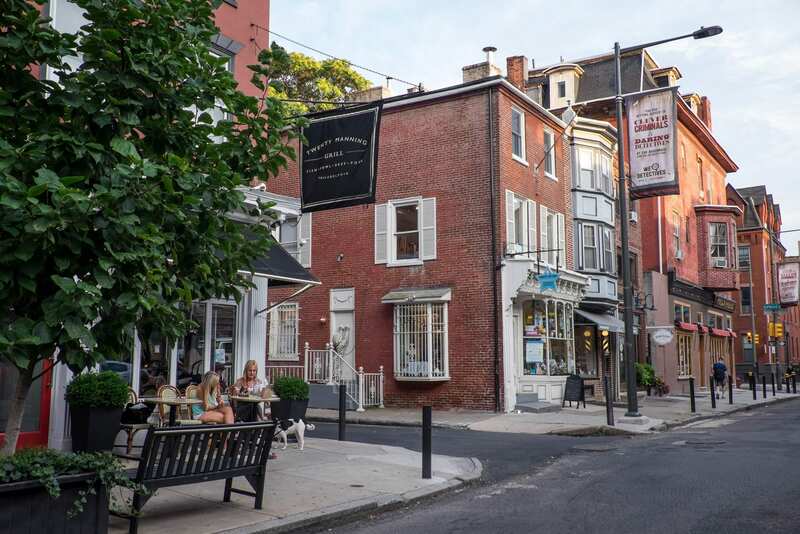 I would come back for the food scene, the coffee, the wine, the cocktails, to stroll and enjoy the architecture, and to hang out in Fishtown. And especially to spend time with my friends. I wouldn’t come back for the sights, though. While I loved the Barnes Foundation and enjoyed the Magical Gardens, I wasn’t overall impressed with Philadelphia’s sights. In fact, I found myself to be irritated by the crowds that swarmed the sights, much more so in other cities. Why is that? I’m not sure. Philadelphia is so much better when you get off the beaten tourist path. If you haven’t been enjoying the city, perhaps that’s the problem. 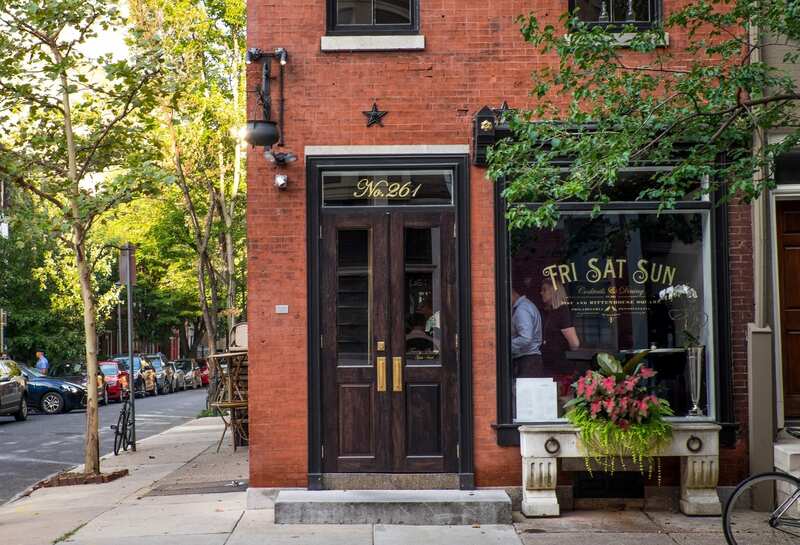 Go explore the cool neighborhoods and jump into the food scene. I think you’ll be surprised at what you find. 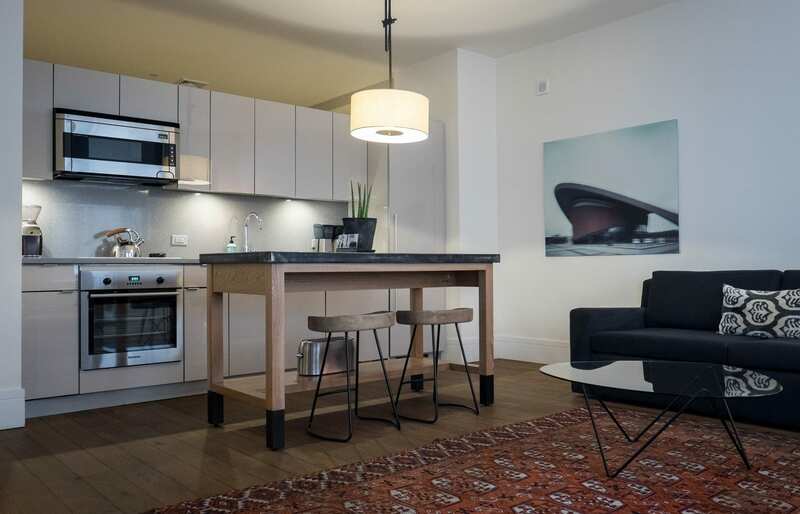 Essential Info: I stayed at ROOST Midtown, a condo-like apartment hotel in Center City. I loved the location, the spaciousness, and the clubhouse upstairs. 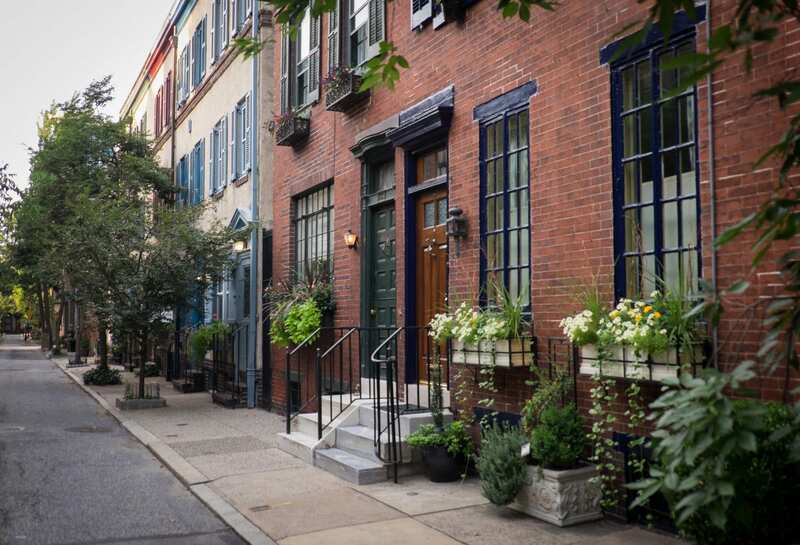 This is a great option for accommodation in Philadelphia and I recommend it to others. Note that the sign on the building is discreet — they can’t put up a big sign because it’s a historic building. Google Maps sends you to the right spot. Rates from $162. 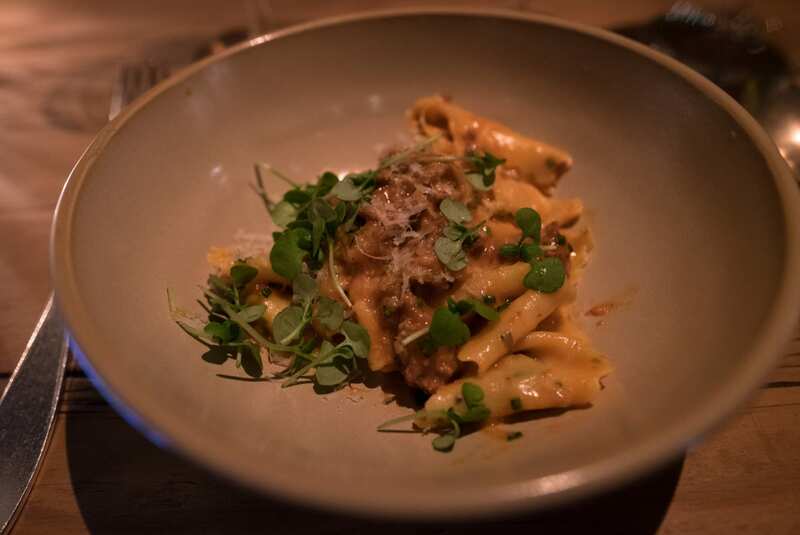 Talula’s Garden offers a ten-course tasting menu for $100 plus $50 for wine pairings; they’ll include a glass of sparkling wine and an espresso if you don’t do the pairings. They also offer à la carte menus. 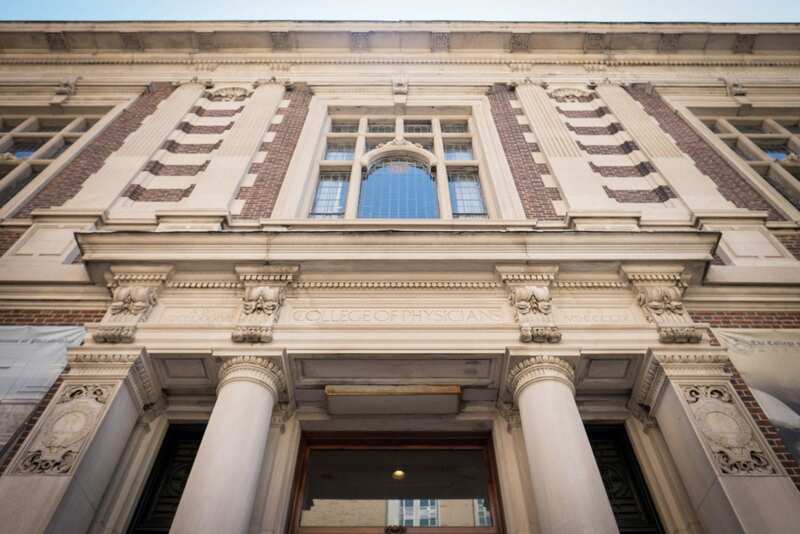 Admission to the Mütter Museum is $18 for adults, $16 for seniors, $13 for youths and students, and free for children under 5. 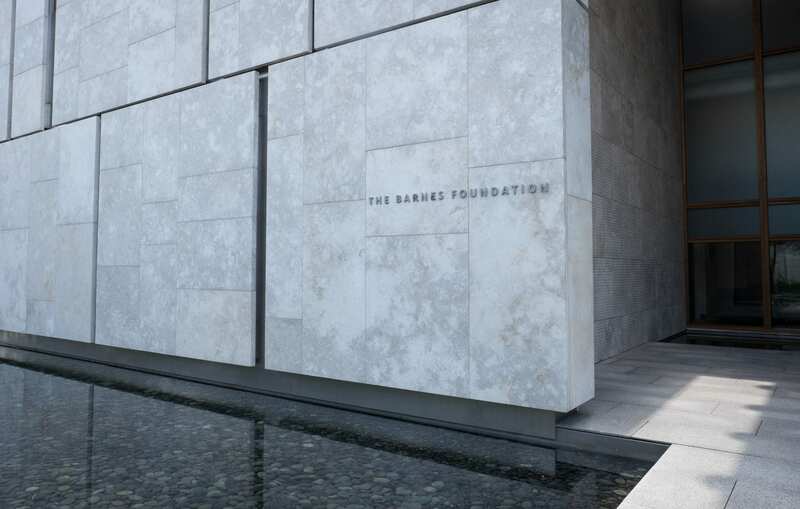 Admission to the Barnes Foundation is $25 for adults, $23 for seniors, $10 on weekends and free otherwise for college students, $10 for youths, and free for children under 5. 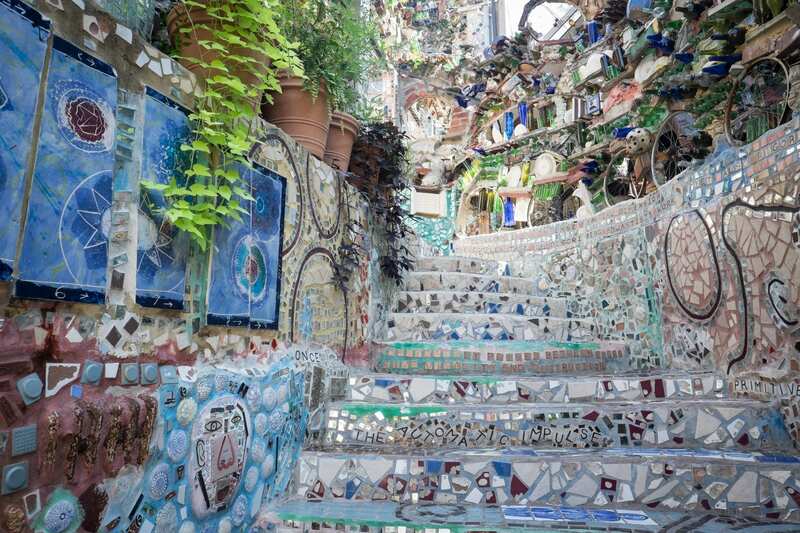 Admission to Philadelphia’s Magical Gardens is $10 for adults, $8 for students and seniors, and $5 for children under 5. I found it cheap and easy to get around Philadelphia using Lyft. 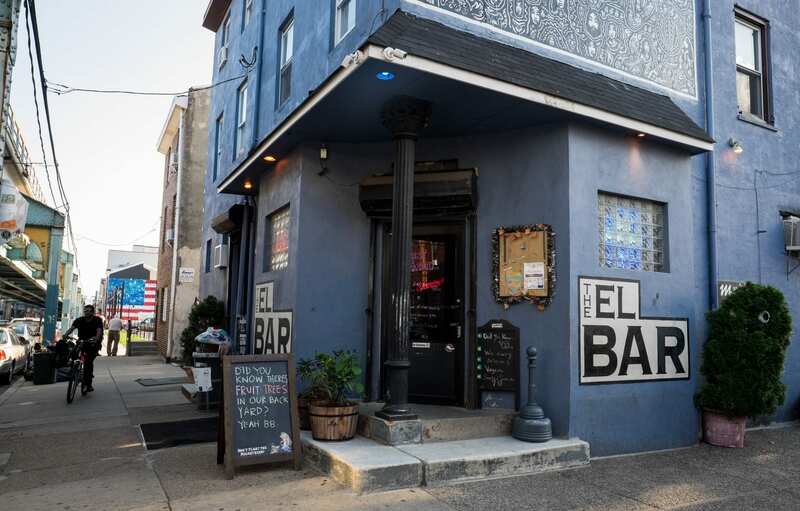 Most rides cost around $6 before tip; to Fishtown and back was closer to $12. This campaign is brought to you by Booking.com, who covered my stay in Philadelphia and monetarily compensated me. All opinions, as always, are my own. Have you been to Philadelphia? What did you think?